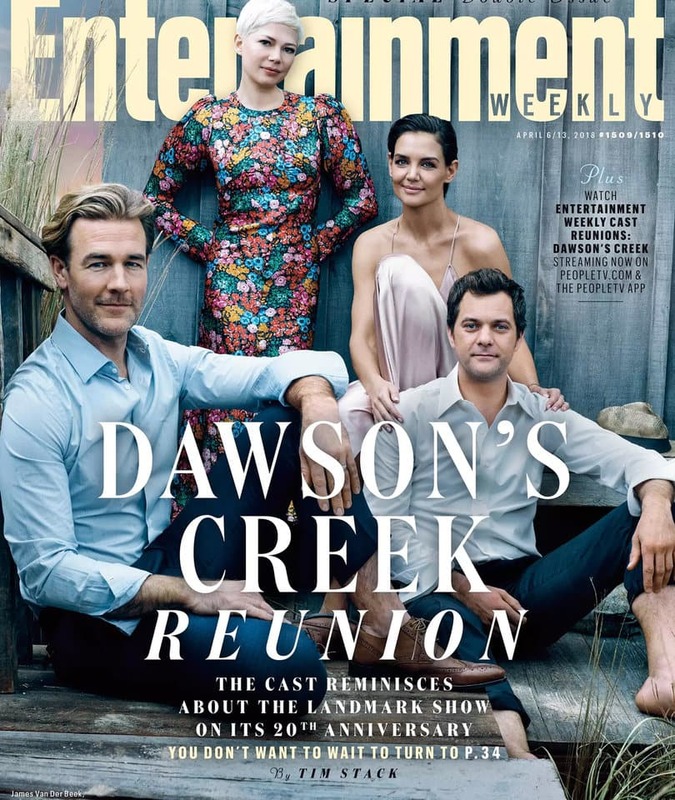 FASHION ON ROCK: 'Dawson's Creek' After 20 Years! Wow I do remember the theme song by Paula Cole - "I Don't Want To Wait" it was so relaxing and made feel so good! The show was so real and Innocent something that we don't see anymore on TV for teenagers these days. 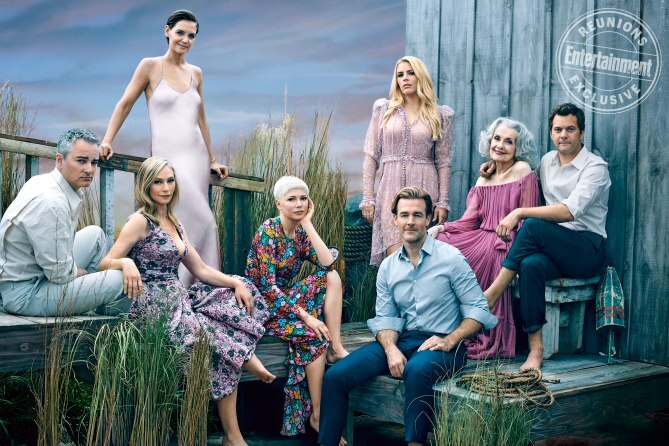 The cast for 'Dawson's Creek' reunited for new Entertainment Weekly to celebrate 20 Years since the show was released. The photos were taken by incredible Marc Hom who did an amazing job. James Van Der Beek, Katie Holmes, Joshua Jackson, Michelle Williams, Busy Phillips, Kerr Smith, Meredith Monroe and Mary Beth Peil all celebrated the show's 20th anniversary, the first time they've all been together since the 2003 finale. "I think, especially when we first started, I was a teenager and it was nice to read a script that I felt like expressed things I was still trying to understand for myself," said Kate Holmes. Cheers to this wonderful time and more cheers to future new shows that will make people feel good about themselves and not stupid.